Webern, Anton, 1883-1945. Quartets, piano, violin, clarinet, saxophone, op. 22 . Quartet for violin, clarinet, tenor saxophone and piano, op. 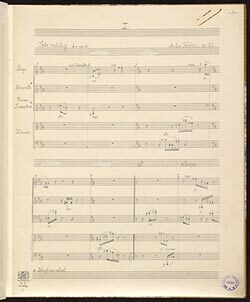 22 : autograph manuscript, 1930.